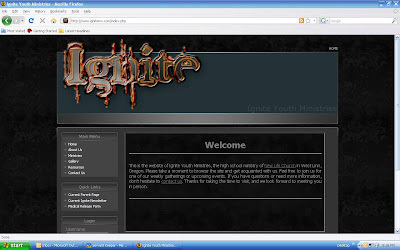 Ignite Youth Ministries, the high school ministry of New Life Church is pleased to announce the first phase of our new website. It is full of information and resources for both parents and students. Click here to see. We hope you take a moment to check out the site and tell somebody else about it. Enjoy! Looks great Matt! Simple yet informative. Kudos to the web designer who put it together.